It’s been twelve years since Bill Watterson published his final Calvin and Hobbes comic strip. 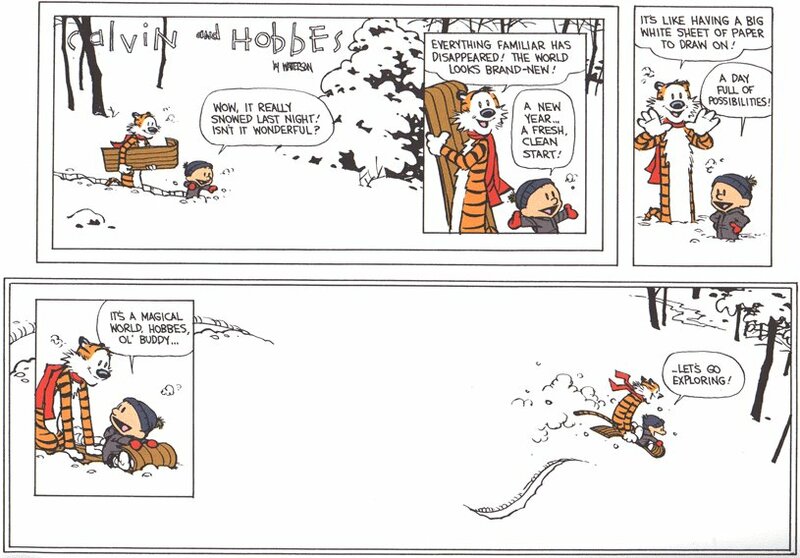 The brilliant strip about a boy and his stuffed tiger that is alive, Calvin and Hobbes will always be an inspiration to explore new and unconquered territories. It teaches us to follow our creative instincts and allow ourselves the freedom to truly live! As it’s been twelve years since the retirement of the comic strip, I was a twelve-year-old kid when I bought my first Calvin and Hobbes anthology, Attack of the Deranged Mutant Killer Monster Snow Goons. I remember reading the strip for a long time before in the Sunday paper and felt a strong connection to Calvin. I longed to live his and Hobbes’ adventures. 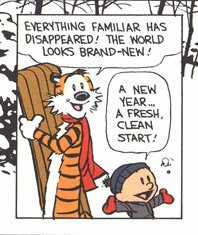 On my fifteenth birthday, November 9th, 1995, I remember reading Watterson’s statement–that he was going to retire Calvin and Hobbes at the end of the year. That December he published the final comic strip. And what a way to bring in the new year! Every few years I think back to this particular strip–I’ll see it in print somewhere, or someone blogs about it, or whatever–and it always puts a smile on my face. On a related note, David and I went and explored a ranch we’ll be using in St. Nick, owned by a friend of mine the other day. Along with prospecting the land for great shots, we made friends with the cows, the buffalo, and the horses–particularly an overzealous glass-eyed horse with a propensity for biting (my wool sweater, David’s sport jacket, my SUV, etc.). 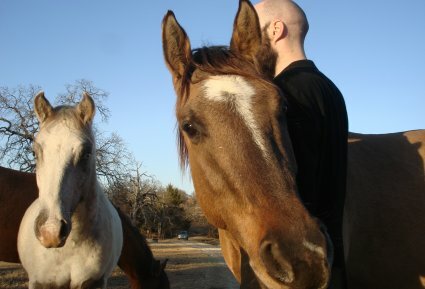 The ranch is located in Valley View, TX, just north of Sanger, and we hope to shoot there for several days. We’re heading for some snow! Good riddance to those grown-up-ghouls!